A quality wood and metal bead cabasa from India. 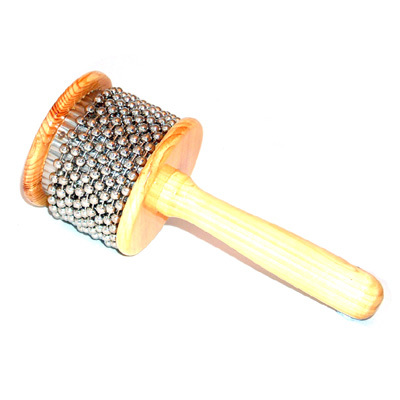 Rotating the beads against the serrated body creates a classic sound. Diameter: 8.5 cm, Length: 20 cm.